One of the most common fun things about weddings is photography. Guests like to take photos, and there is almost always a photographer on hand to take snapshots of everyone who has a good time, and of course the happy and newly married couple. Very often the photos taken by the couple are never seen because other attendees took them. However, renting a photo booth can make a huge difference. If you want to hire a photo booth for your wedding in Melbourne then go online to look for a suitable one. 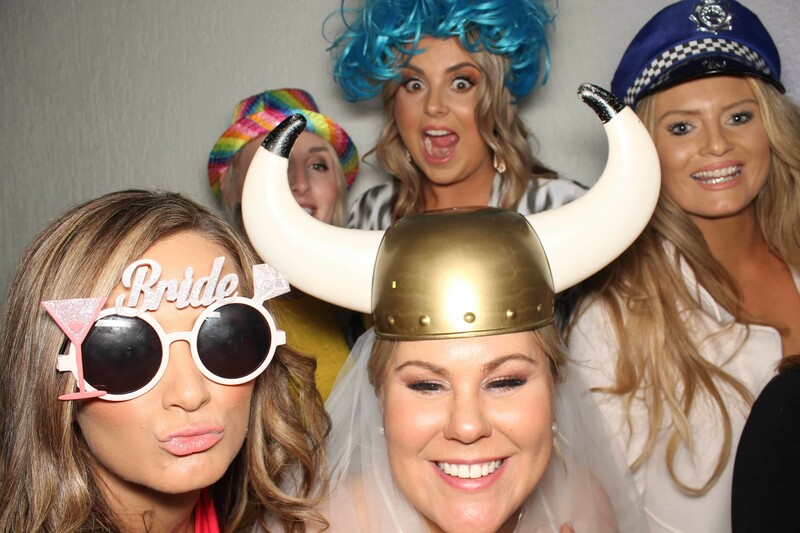 We, Cheapest Photobooth Melbourne have provided photobooths to hundreds of couples for weddings and entertained their guests at the photobooth and given them memories of a lifetime. We will come and put everything in their place, so you do not have to worry about that. Also, We also ensure the stand during the event to ensure that nothing goes wrong and that the standard works well at all times. Guests generally love the concept of a photo booth and appreciate the opportunity to join in, mainly if they can also use simple and fun props They are fun and suitable for everyone at the event. Your guests can participate at any time if you hire any photobooth in Melbourne. We have open and enclosed photobooth. Open can fit as many 12 people and enclosed can fit 5 people maximum. As mentioned earlier, some cute props can also be used, such as funny wigs and hats that look stupid. All this works together to ensure that your wedding photos are full of life, character, and originality, rather than the formal, annoying, so often perceived types. Your wedding day is the most wonderful day of your entire life. And this day is best for taking great pictures of you and your partner. If you want to take beautiful photos on the big day, it is a good idea to rent a good photo booth. At the wedding, you get lots of pictures from everyone. Here are some tips to help you select the best photo booth fun. About image quality, we offer the best photo prints quality in the industry. In the other way, the other type uses DSLR cameras to make professional-quality images. A professional Canon flash is used for lighting. That is why the quality of the image is the highest. Guests must enter in an enclosed photo booth. We offer simple and user-friendly, that’s we don’t put our photo in shopping centres, they are always used at weddings. This standard is autonomous and looks clean in the room. We supply both open and enclosed. Enclosed take up more space and can only fit limited people and the best formal events but open is light, portable and can fit anywhere. The outside type can easily be transported. Provided there is enough space; you can install it anywhere. So you can choose the accurate one based on your needs. The outdoor type offers a background option. We provide a wide range of funds to help you choose a package that meets your needs. However, it is essential to have in mind that closed cabins do not offer so many options for backgrounds. Closed photo cabs do not offer much space inside. So, if there are many people, they will seem to be filled in the room. On the other way, the modern type offers a relatively larger context. As a result, many people can get up for the photo session. Make sure there is room for the installation of the photo booth. To give you an idea, most stands need a surface of 3×3 meters. That is why it is very crucial to choose a place where the thing can be installed. So choosing a right place is essential. It is exciting! For the money, nothing brings more enthusiasm to your unforgettable day. Not even spending the equivalent amount of money on a more attractive venue or alcohol. The Cheapest Photobooth Melbourne will keep all of your guests smiling and having fun whether they are old or young. It’s the perfect icebreaker! Give your guests something to discuss while you’re off with your family taking pictures in between the ceremony and reception. Family Reunion! Photo booths are the best way to make memories with family members that live out of town and don’t usually get to see each other. Family members that haven’t meet each other for a long time will be eager to take photos of themselves together… who knows when their next meeting will be? Memories for a Lifetime! Your capturing permanent memories and not just posed photographs. These are real spontaneous photographs, sometimes memorable, hilarious ones. The BEST Party Favor! Your guests will have the ultimate memory of your wedding. How many party favors do you post on in your kitchen? That’s a valued party favor! Memory for your guests from your special day. Make Everyone Jealous! OK, I don’t promote rubbing anything in anyone’s face, but come on, for those who weren’t able to make it to your special day, once they see your pictures, they want to reorganize their plans to participate in all this enjoyment. Customized Logos! We can customize the photo strip and/or 4×6 print with a logo for your wedding to commemorate your big day further. Social interaction! Your wedding may last weeks after the fact by comments on our Facebook page, our blog and our website. Real-Time Baby! The real-time app gives full access to the photos of anybody that steps into the photo booth and takes pictures. Cheapest Photobooth Melbourne Real-Time app is connected through a wi-fi hotspot to the computer that is in the photo booth, and the pictures are brought up on the app through a shared folder. Guests will be able to Facebook, Tweet, and even email their photos to themselves or anybody they’d like. A photo booth is a beautiful item to take with you at your wedding reception. This will help to keep your guests free, let them do an activity when they need a break from the dance and leave them a sweet memory of the fantastic evening. As far as wedding reception is concerned, photo booths are still popular, mainly because they are perfect for couples who want to be conscious a little money. You do not need advanced equipment or extra material to make the complete photo booth for your wedding. With below tips, we show you how to make a nice photo booth that encourages your guests to take a pose and fits perfectly into your design aesthetics – all within your budget! When setting up the lighting plan, take care of your wedding reception for lighting in and around the photo booth. It can be anything from bright neon lights to sparkling lights. If you are lighting up in the background, you must place lights in front of the camera – facing the cabin, situated at the middle level of the nose – so that the faces of your guests are fully visible on the photos. A self-stop would be the perfect choice to add high-quality direct lighting! For all our tips on choosing a good wedding lighting and a handy checklist, view our ultimate guide to wedding lighting. Have uploaded your shots of wedding photos on facebook! Most companies with photo booths upload your images to their Facebook page at no additional cost. This means that guests can easily access their photos without having to worry about the disc / USB later. It also makes a lot of markups possible and shows everyone what happened behind this curtain! Let everyone know how they can share their photos. Whether you decide to deliver Polaroid cameras or ask your guests to use their phones to take photos, you will still want to recall those precious memories after your wedding day! So make sure you include a sign with clear instructions on how you want guests to share their photos. Provide a Polaroid photo booth for an album, glue sticks, and pens so that guests can paste a picture with a personal message or a frame and clothespins can install so guests can hang their photos. Ask guests to use your wedding hashtag for a selfie station or upload them to a shared photo stream. Do not be afraid to be thorough with your instructions to get precisely what you want! Photo Booths is the new trend for weddings in Melbourne, and once you have attended a wedding, you know why. They offer hours of entertainment for all ages, and at the end of the night, your guests leave with unique memories of your wedding that they will cherish forever. Once you have decided to work with a good company, it’s time to decide how you want to integrate the photo booth into your wedding. Do you want it to be a nice addition to the entertainment for the evening or do you want it to be an important element? Guestbook photo – ignore the annoying old guestbook! Ask your guests to browse through the box, then put their strip of photos on a blank page of the guestbook and draw a personal message to the newlyweds. Photo pockets – Leave a plastic photo package at the guest table with a personal message inviting your guests to enjoy the stand. Sleeves are an excellent way for your guests to take home all their photo strips and make cool bookmarks. Photo Booth Save The Dates – Make your cards or invitations Save The Date a series of four images on a strip of photos. You can link the classic theme of the photo booth to the entire reception! You can make postcards or magnets. Props & Accessories – Your guests usually think of countless creative things to do in the photo booth, but if you want to add fuel to the fire, give them props! Hats, sunglasses, feather boas, anything you can think of. If you are organizing a themed event, think about the accessories that come with the theme. Provide them with cardboard cutouts with famous actors or rock stars to communicate with. Give them blocks of paper or a whiteboard to write or draw and use in their photo shoot. Photo Booth tickets – Give your guests a certain number of cards to use. If they want tickets, you can think of creative ways to make them money or have a stack available for distribution. This can be an enjoyable activity for the children who have instructed them to distribute the tickets. VIP treatment – Treat your guests to movie stars with a red carpet and red velvet ropes leading to the booth! Video Screening – Half the fun of a photo booth is to share funny photos with your friends. With video projection, you can display images in a slideshow on a large screen or a large projection screen so that everyone can see them. A large group will usually gather around him and have a good time to look at all the photos. So, if you are going to rent a photo booth for your wedding day, we advise you to follow the tips and tricks in this article. This will help you prevent making the wrong choice. Hire photo booth in Melbourne for your weddings is a fun idea, besides they can be hired for any party or special occasion. They provide laughter, fun, and a keepsake of a day or event that singularly unique. The above tips help get you started in the hunt for event photo booths. Depending on the number of guests at your big celebration, you may need to have multiple booths set up, so your guests do not have to wait too long for a turn. Cheapest Photobooth Melbourne will provide you and your guests with hours of entertainment and ideal party favors. Your guests will rave about the fun we had at your event and have great keepsakes to prove it! Visit our website http://www.cheapestphotobooth.melbourne today to reserve your photo booth.